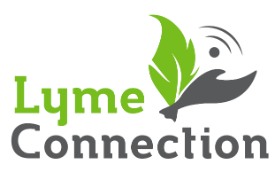 Join us for Lyme Connection’s13th Annual patient conference and health fair scheduled for Thursday evening, May 16 at Western Connecticut State University’s Westside Campus Student Center. The event is free and open to the public. The program begins with a Lyme-focused health fair featuring tick-control products, Lyme-literate practitioners, testing laboratories, and a wide range of manufacturers offering prevention and patient support services. Attendees will hear from internationally acclaimed speakers specializing in tickborne infections. Featuring experts in patient care, research, tick-control, testing and new product development all in one location at Western Connecticut State University. Free and open to the community. No registration required. Download our 2019 conference flyer HERE. We are grateful to the many health care professionals, researchers and volunteers who help make our Lyme Connection programs a success. With their help, we educate the community about prevention, symptoms, diagnosis, treatment and the future of tickborne diseases. Check our monthly calendar for details about upcoming patient events, library speakers, professional conferences and support group presentations.